Lohr a.Main: LohrCam, 3.5 mi. Rieneck: View over Rieneck, 4 mi. Lohr am Main: City Center, 4.1 mi. Pfaffenhausen: Hammelburg and Saale Valley, 12.4 mi. 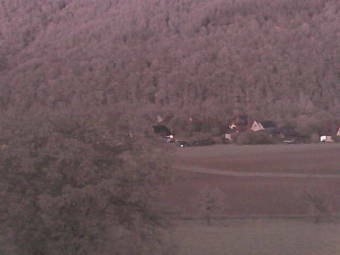 Arnstein: Weathercam Arnstein, 16.8 mi. Bad Brückenau: Schlosspark Staatsbad Bad Brückenau, 19.2 mi. Wertheim: Market Square, 19.8 mi. This webcam Neuendorf am Main with the theme City Views was added on July 23, 2015 and is operated by Neuendorf am Main. It got 292 visitors since then. Shouldn't this webcam work or should the link be wrong please report that here. You can add this webcam here to myCams.